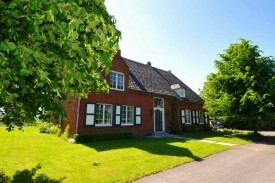 We would like to welcome you in our bed and breakfast in Maarkedal, the pearl of the Flemish Ardens. Our house is located on top of Maarkedal, which assures stupendous views over the area. We offer 2 tastefully decorated rooms. In the morning a nice breakfast is served in your room or on the terras whenever the weather allows it. Breakfast is served in the room or on the terras whenever the weather allows it. Various restaurants can be found in the close proximity of our bed & breakfast. Did you stay in 't Kopke? Let us know what you thought about it and help others to make the right choice! * I confirm having stayed in 't Kopke. Find other bed & breakfasts in Maarkedal, all bed & breakfasts in Flemish Ardennes or all bed & breakfasts in East Flanders.